We are now ready to announce the first screening event outside of Europe for ‘A STRANGE HOUR IN BUDAPEST‘. These accompany Recoil’s Blu-ray release of the full concert film, directed by Attila Herkó. On October 11th, the live concert film will be presented in Toronto at Projection Booth Metro. The presentation will feature surround sound but Alan Wilder will not be in attendance for his one. There will however be an Afterparty with Bar & DJs. 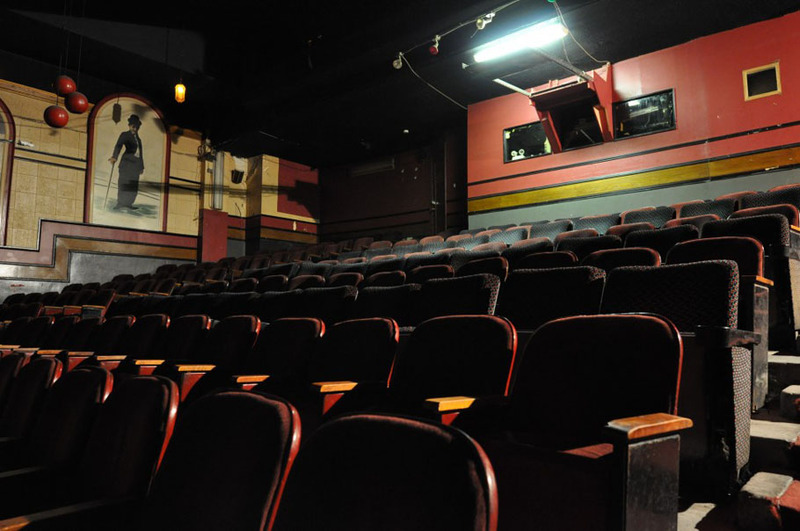 The Metro theatre is the new location for the Projection Booth (expanding from its East location on Gerrard St.) to bring art films, documentaries and genre films to Toronto audiences. Despite a former ‘lively’ adult reputation where decades-old signs on the walls threatened prosecution if a person is caught “committing an indecent act”, thankfully the 72-year old Metro cinema has recently been given a complete overhaul – a full rehabilitiation shall we say – renovated with state of the art equipment, fresh seating and a general facelift appropriate for its new mission! Tickets are very reasonably priced so get along there if you are in Toronto or the surrounding areas.